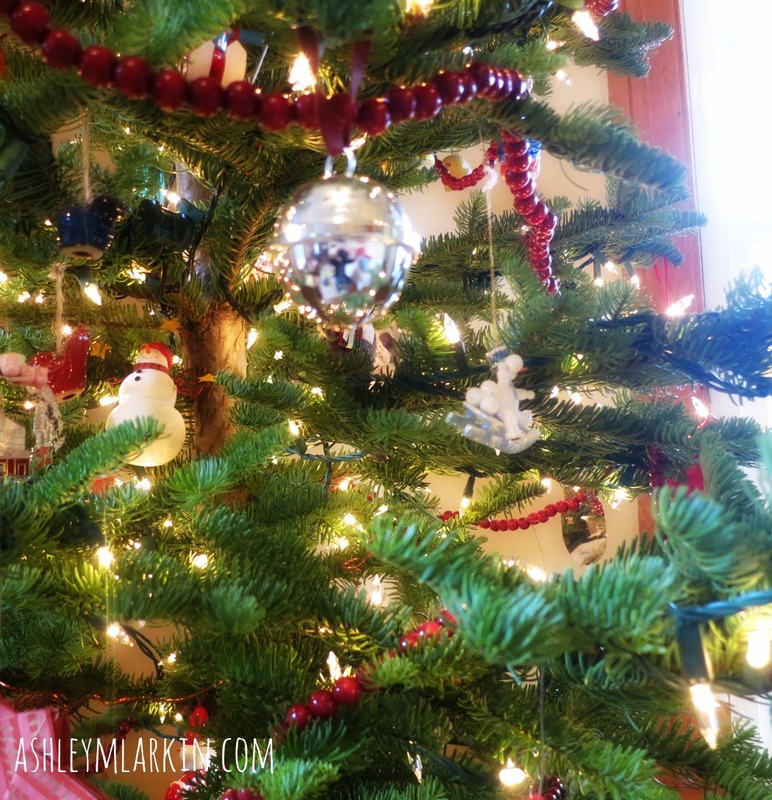 The tree shines so brightly this year. It’s amazing what 800 white bulbs can do to an evergreen. Much fills our moments, hours and weeks during December, but, as my sister Lizzy and I talked about over the phone today, we’ve got to cling to the why. And this year, one of my whys snuggles with me for an hour or longer after we drop off big sisters at school, and we sit in the light of the towering noble fir to read Christmas stories. We examine pictures, and I think how different all the artists’ Marys look. I tell her new and old tales, adding deep voices, leaving off words for her to fill in. We sing and tickle to take breaks. I sip my peppermint tea as we talk about which one at Jesus’ manger bed we’d most like to be. I say, Mary because I love how she notices everything happening around her and treasures it in her heart. Lala says, I’d be the duck. 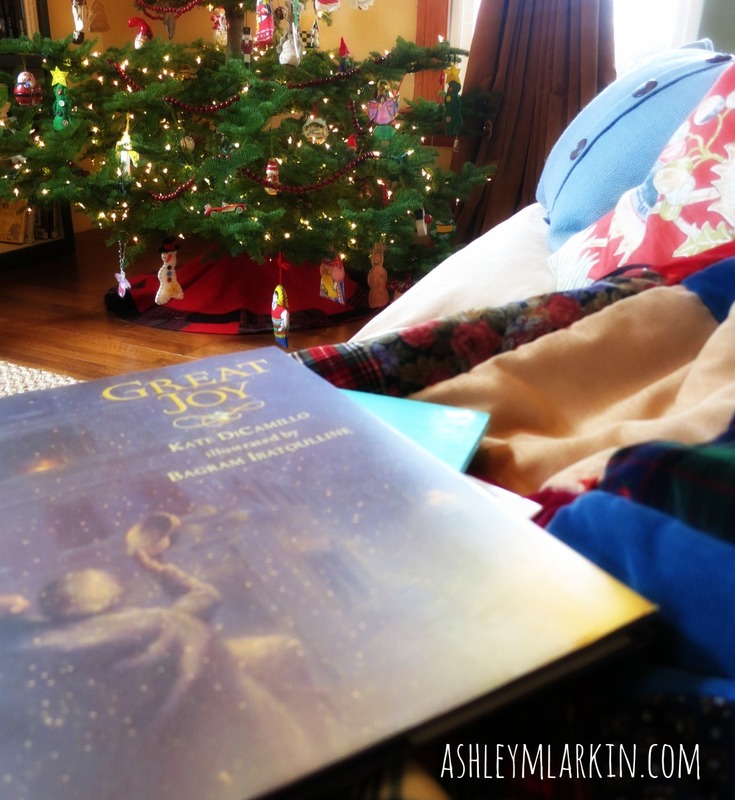 On a Tuesday morning, we snuggle close and read about the Gift and the Light. All that light, and the darkness will not overcome it. Thinking today about how this is my last Christmas season with a little one to share it with each day at home. Yes, little Lala will be a kindergartener next year. Wow. Just wow. Linking with Emily and Tuesdays Unwrapped and Heather and Just Write. I either smile or cry when I stop by and today you’ve made me smile. I’d be the little drummer boy, except that I’m not sure he actually was there. I want to be one of your children, in your house. Just sayin’. You are a gift Ashley. I love lala, of course the duck….i want to ask her why? Oh, that is time of your life that you will miss so much, that cuddling and playing at home with the little ones! But there is as with your other daughters there is a. Whole new life waiting for you both! I remember my time when both my sins were at school and how I enjoyed being part of everything from sitting at every rugby practice to working I the tuck shop! Ashley, my sons, not my sins! I made myself laugh at myself today!!! This is beautiful. I’ve been reading Christmas books with my son too and it’s very precious! Really sweet. I just love how you tie the lights,snuggles, and sweetness together in the same post. Thank you for sharing this special moment. So glad you are taking time to snuggle. It’s been many years since I snuggled and read to my grown kids. Thanks for sharing!